When we bought our house 10 years ago, the only cable provider available in our area was Comcast. When we were trying to save money on our monthly expenditures, we switched over to a different provider when one became available, but the ‘high speed internet’ wasn’t so ‘high speed’, so a couple of years later the new and improved Comcast (aka Xfinity) wooed us back. The hubby isn’t much of a television watcher, so I like that I can watch some of my favorite shows online through Xfinity, while the kids are enjoying their own shows on the TV. 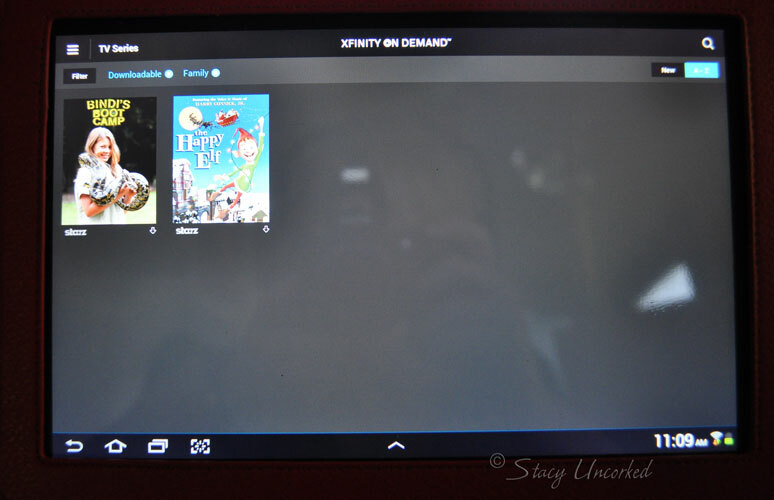 When I heard about the Comcast Xfinity TV Player App, I had to check it out – it’s an application that is available to download for free from both the Apple App Store and Google Play (as an Android user, I was happy to see it wasn’t limited to just Apple). Recently they started something new – the ability to download TV shows and movies to your Apple® or Android™ smartphone or tablet and watch them anytime – yes, even when you’re offline. Since all of our electronics are WiFi only, this works out great to be able to download shows to watch – especially for road trips, which is something we do every year for vacation. Just download the movies kids want to watch before you leave, and they’re ready to play during the long drive. Fair warning, though – while Xfinity’s showcased family-friendly content is from top brands such as Nickelodeon, Disney, Sprout, Cartoon Network, Angry Birds Toons, PBS KIDS, the HUB Network, Dreamworks, NBCUniversal and more, the download option isn’t available yet for all of those networks. Currently they only have downloads available from Showtime, Starz, Encore and Movieplex, but the others are coming in the future. Princess Nagger was disappointed that I wasn’t able to download My Little Pony: Friendship Is Magic, but the HUB Network doesn’t seem to be available anywhere in the app, in spite of having it as part of our cable service. I spent time hunting and searching and trying to figure out why I couldn’t find any downloads of shows the kids really like, but that’s when I discovered info that those networks aren’t available in download mode yet – but the good news is they are coming at some point, so it’ll be even better then. I also love how the available shows and movies are organized by easy to find categories. When I’m looking for a movie specifically for the kids, I can go straight to the Family & Kids section on the bottom menu bar. You can also bookmark your favorite shows so they can be accessed quickly whenever you want. You can have up to 10 downloads per device, and up to three (3) devices registered for downloads, which works out perfect for us so I can have my favorites downloaded on my tablet, and I can download shows for each of the kids on separate Kindle Fires for our road trip, since we’ll be taking two cars with a kid and dog in each car. Then everybody’s happy! 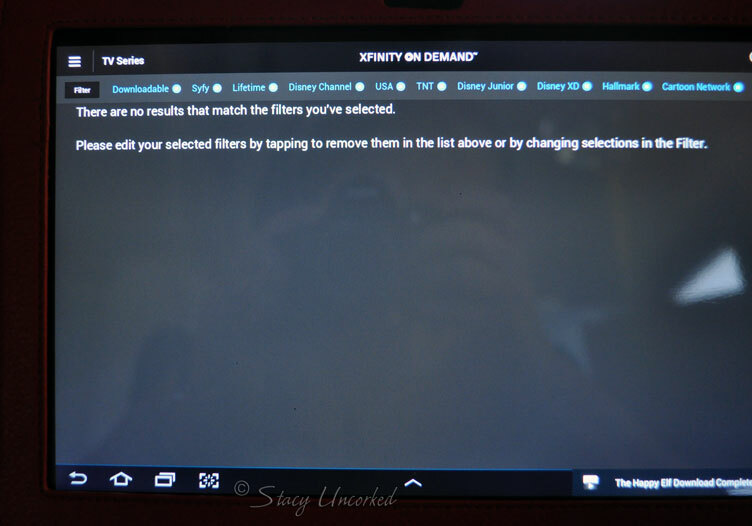 If you haven’t downloaded or used the Comcast Xfinity TV Player app you can learn how to download content through the slideshow on this page. It’s as easy as downloading any other app – once it’s downloaded you simply sign in with your Comcast Xfinity user ID and password and you’re good to go! 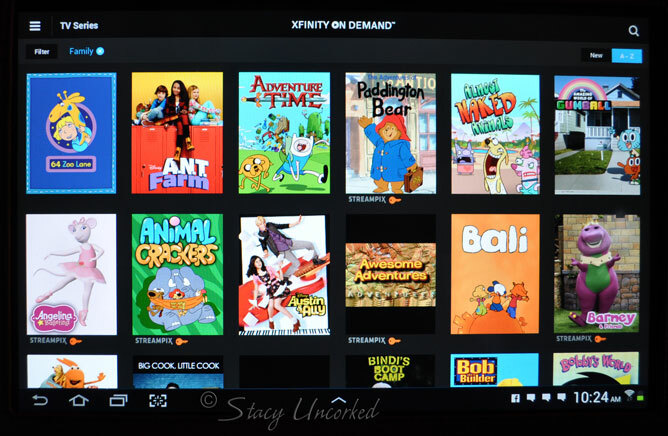 To learn more about the app and kid-friendly programming available with Comcast Xfinity, be sure to visit Xfinity Summer of Kids. 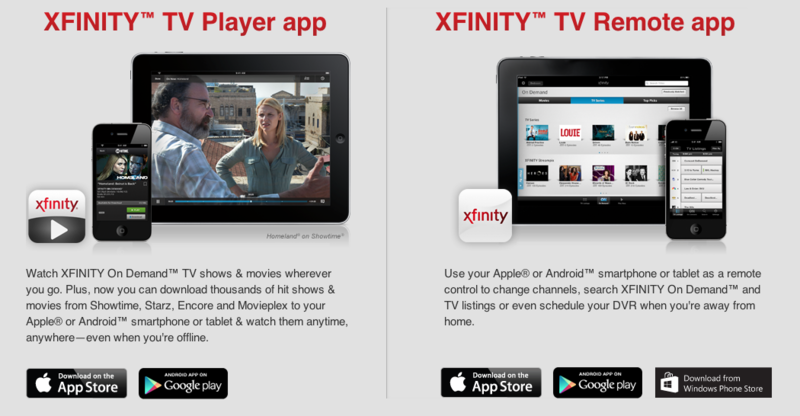 Have you had a chance to try out the Comcast Xfinity App? Note: Comcast Cable Communications Management, LLC, through its contractor, Mom Central Consulting, provided a promotional item as a thank you to the blogger who made this post for participating in this campaign. 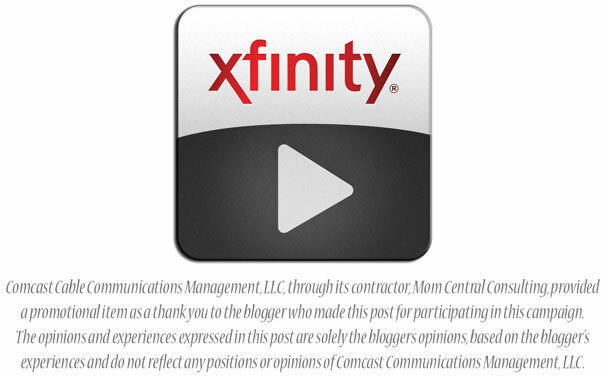 The opinions and experiences expressed in this post are solely the bloggers opinions, based on the blogger’s experiences and do not reflect any positions or opinions of Comcast Communications Management, LLC. As usual, all opinions are my own and not influenced by outside sources. See my disclosure policy here. 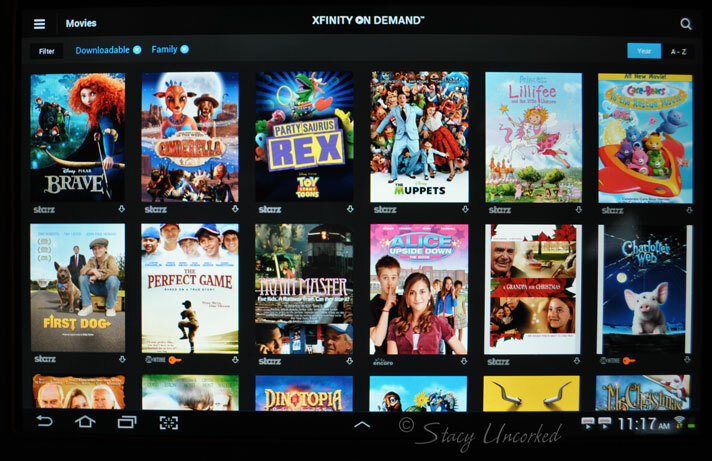 This entry was posted in Alert, Announcement, Review and tagged Alert, Announcement, comcast, Comcast Xfinity TV App, favorite shows, Review, road trips, tv player, X by StacyUncorked. Bookmark the permalink.